1. Submitting a clear, well-written, well-researched brief. This is critical, considering that your brief sets the stage for your case.A strong brief is always established on the soundest precedent. Therefore, you must ensure every citation that supports your case is valid. Experienced lawyers realize that requires researching each case they cite. They know they can’t count on a standard citator to flag every citation that’s bad law. Here’s why: Standard citators overlook law that has been implicitly undermined because it relies on an overruled or invalid prior decision.Savvy lawyers, however, are now skipping the laborious process of researching each and every citation, and instead trusting KeyCite Overruling Risk by Westlaw Edge, the latest technological advancement from Thomson Reuters. The artificial intelligence of KeyCite Overruling Risk detects the nuances that standard citators miss, and places warnings on tens of thousands of cases, across state and federal jurisdictions, that other citators don’t catch. “I’ve heard horror stories about associates who have not been rigorous about making sure all the citations within a case are still good law,” says Ryan Matthew Lawrence, an associate with Anthony Ostlund Baer and Louwagie, a Minneapolis litigation firm. “KeyCite Overruling Risk gives me confidence in my work; I know it’s thorough and complete.”Furthermore, a strong brief will often explain how precedent has evolved to support a case. Again, Westlaw Edge makes tracking the evolution of a law simple with Westlaw Edge Statutes Compare. In just a click, you can see the difference between two versions of a statute – they’re already red-lined and highlighted so you don’t have to spend hours doing it yourself. 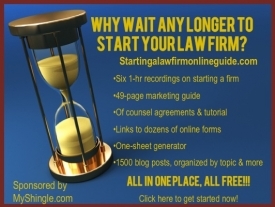 Instead, you can devote that time to analyzing how those changes support your case. 2. Playing well with opposing counsel. The last thing judges want to do is mediate playground disputes. If opposing counsel behaves badly, that will reflect badly on them – especially when contrasted by your professionalism.You can up your game by being prepared for anything opposing counsel may throw your way. Westlaw Edge Litigation Analytics can give you the insights you need to understand their experience in an area of law and to anticipate their motion strategy, tactics and legal arguments. Knowing this will help you build your strategy accordingly. “Before Litigation Analytics, in order to find information on a specific attorney’s work product, the same type of issue, it would take hours,” says Steele. 3. Knowing your judge. The better you know your judge, the better your chances of winning your case. Of course, most lawyers realize that they should pay attention to a judge’s extracurricular activities like their community activities, nonprofits they support, and where they have investments. But what’s more important is knowing precisely what’s happening in their courtroom. This provides a snapshot of their mindset so you can frame your case accordingly. If they have consistently ruled for cases like yours, your strategy can be to reiterate their decision. If they’ve ruled against, make sure your strategy specifies, in detail, how your case differs. Furthermore, know what motions they’re inclined to grant or deny so you save everyone’s time and money by submitting the motions that will most likely be successful.Again, Westlaw Edge Litigation Analytics makes it easy. It analyzes dockets, rulings, motions, filings and other documents to instantly provide data-driven insights on judges, jurisdictions, and more – detailed in easy-to-read, colorful charts and graphs. Taking these three steps will deliver one important result: You’re going to make the judge’s work far easier. When you do that, you can’t help but improve the odds of winning your case. Take advantage of this limited time offer to get a Free Litigation Analytics Report on the judge or opposing counsel of your choice and see firsthand how the valuable insights can help you create a stronger case strategy and set you up for success.